Cayman Brac features many eco-tourism resorts and is a nice place for nature-lovers. It's less crowded and more relaxed than Grand Cayman and it is great for diving. Cayman Brac is often considered a Top 10 diving destination worldwide. 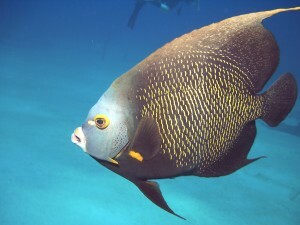 It has warm, clear waters, with reefs, walls and 3 wrecks, divided over more than 50 dive spots. The most popular (wreck) dive is the M/V Captain Keith Tibbetts. Cayman Brac mostly consists of a limestone outcrop that rises along the length of the island, having its peak at the eastern end. There are over 50 divespots for all experience levels, mostly boat- and a dozen of shore dives. Where you mostly relax on Little Cayman, the “Brac” is –on top of diving– nice for hiking and other outdoor sightings, such as limestone caves and sinkholes.